Lapeirousia oreogena grows in the western portion of South Africa. Though it may be difficult to tell by looking at it, this little plant is a member of the iris family. Decked out in its striking shade of purple, the white spots on its petals really stand out. Shaped like arrowheads, it would almost seem as if the plant was trying to advertise the perfect place to grab a sip of nectar. Indeed, that is exactly what they are doing. 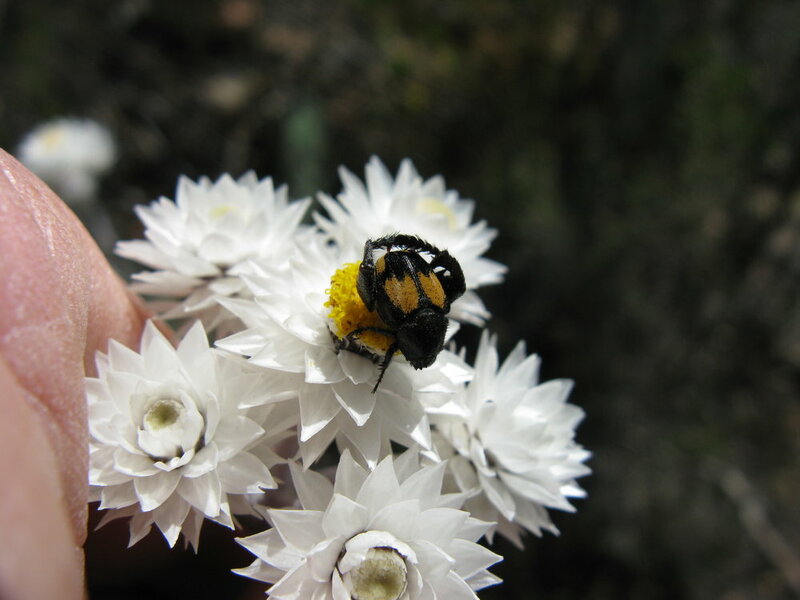 Those white arrows serve as guides for a rather peculiar pollinator. Prosoeca peringueyi is a pretty incredible little fly. For starters, its proboscis is 2 inches in length! It looks rather awkward buzzing around a patch of these beautiful irises. Seeing it in action may change your mind though. It is truly an ariel acrobat as it maneuvers itself above a flower and expertly dips its long proboscis down the slightly longer nectar tube of the flowers. How is the fly so adept at hitting its target every time? The answer lies in those white arrows. A team of researchers performed a series of experiments in which they covered up the white arrows of some flowers. As it turned out, the flies still approached the flowers but, with no arrows visible, successful insertion of the proboscis was drastically reduced. The arrows serve as a guide for the flies to tell them exactly where they are going to be able to get an energy rich drink. How exactly does a system like this evolve? A clue to the answer lies in the fertility of these irises. Plants that aren't visited sequentially by these long-tongued flies do not set seed. As it turns out, the plants need the flies to be just out of reach of the bottom of the nectar tube for efficient transfer of pollen. Over time, an evolutionary arms race developed in which the proboscis of the flies gradually got longer to get as much nectar as possible and thus selecting for irises with longer and longer flower tubes. This system seems to have had an effect on other plant species growing in this region too. Lapeirousia oreogena is only in bloom for a small window of time during the growing season. What happens to these long tongued flies when this window is closed? Interestingly, other plant species form what is referred to as a guild with L. oreogena. They all cater to these flies with varying lengths of elongated nectar tubes. In total, at least 28 plant species in this region have seemed to have converged on this pollination syndrome. To see more of these plants, click here.